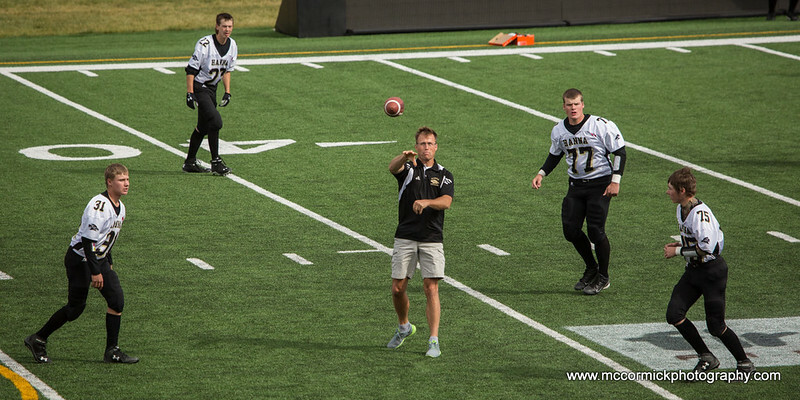 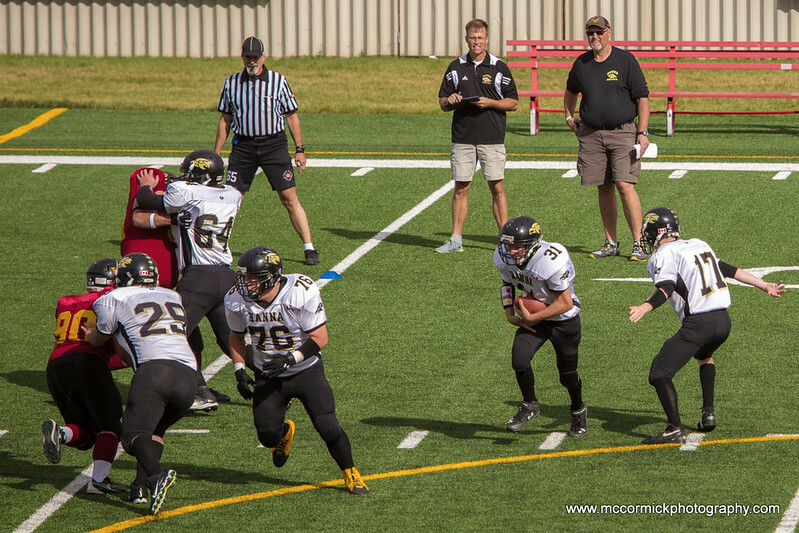 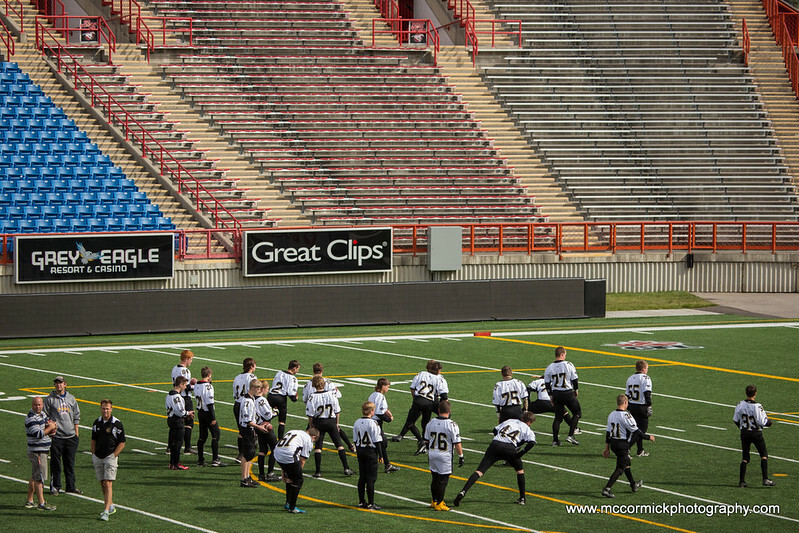 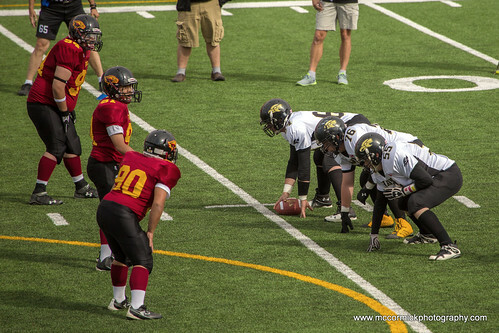 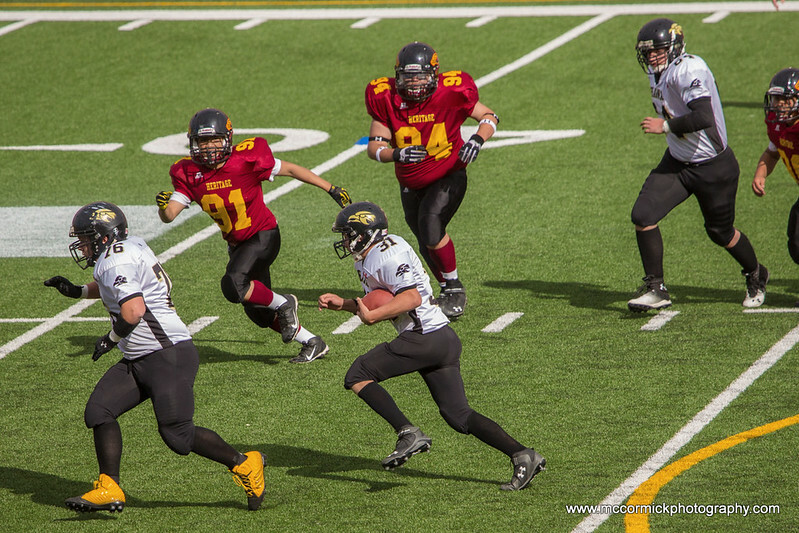 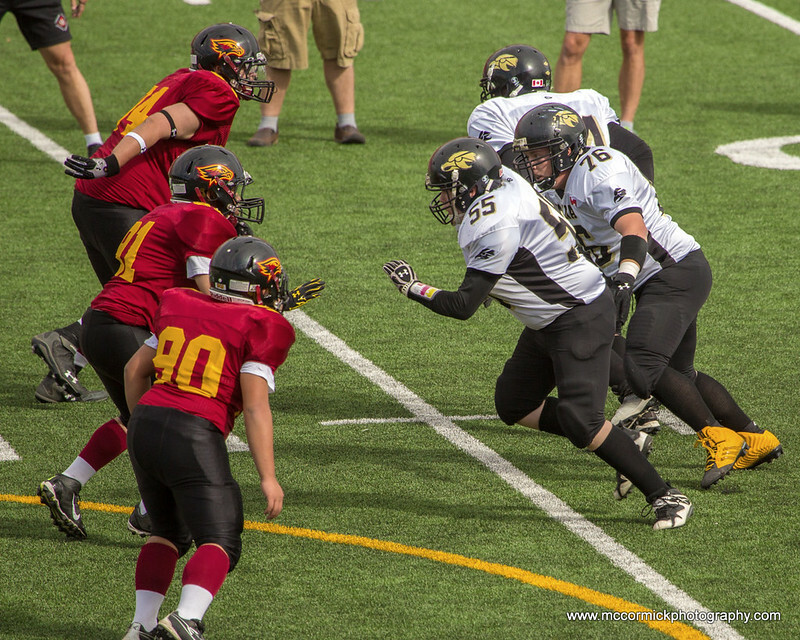 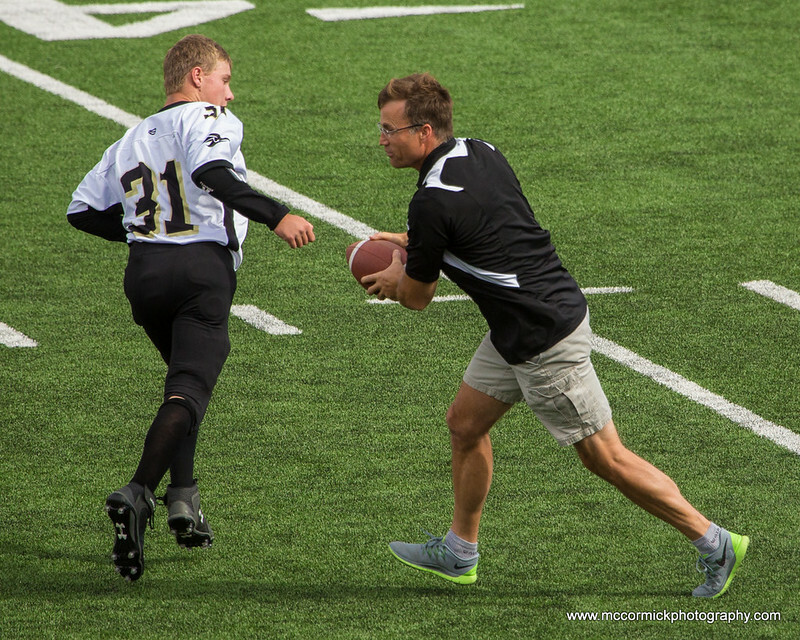 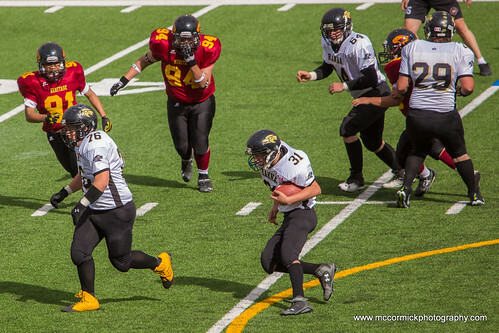 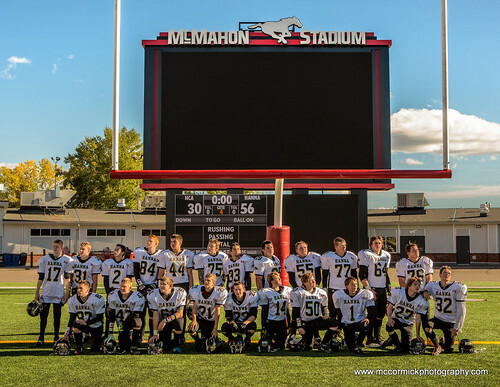 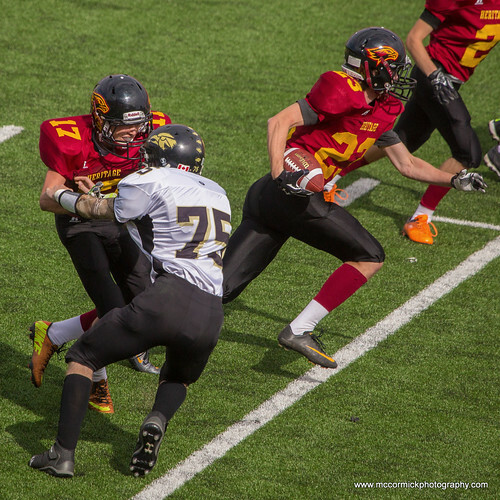 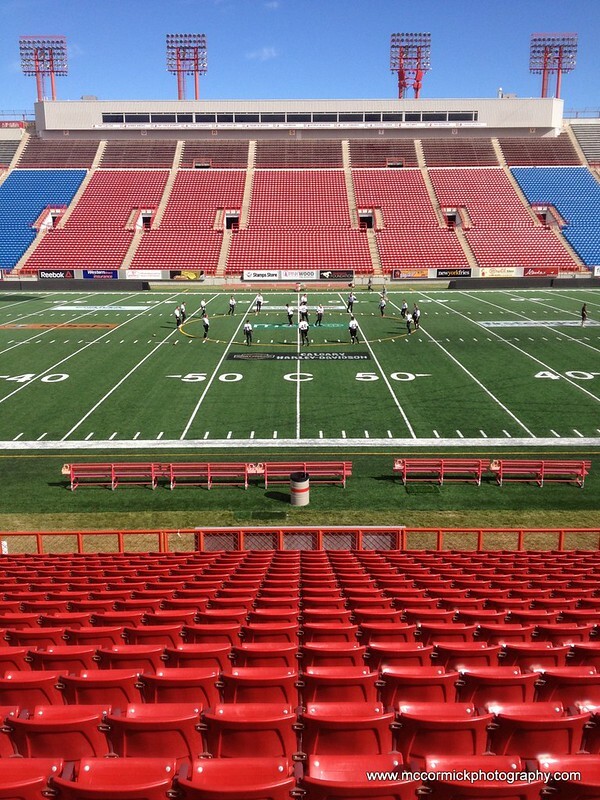 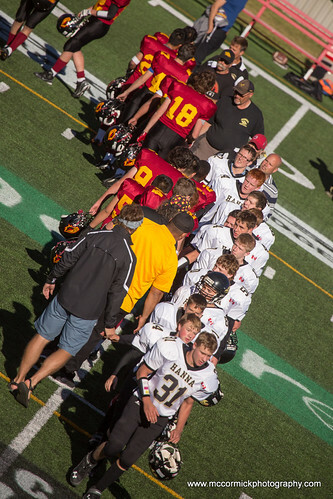 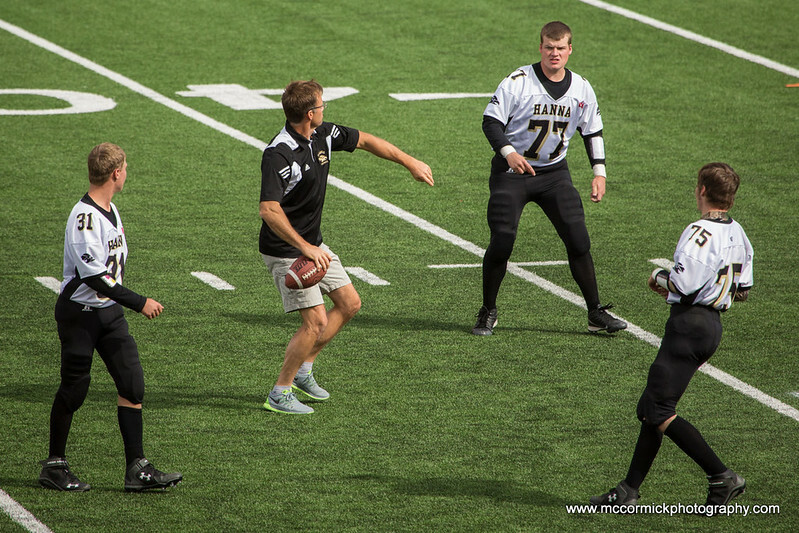 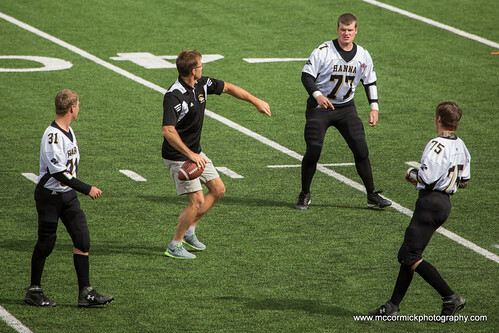 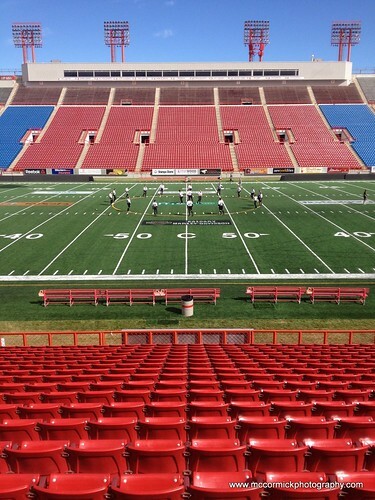 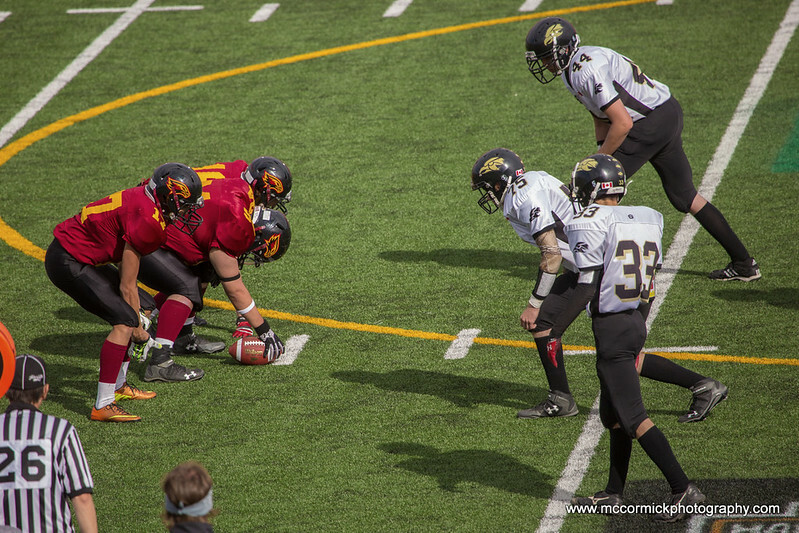 The Hawks were not the least bit disappointed to have to play Heritage Christian Academy (HCA) at McMahon Stadium in Calgary due to a short of playing space on other fields. 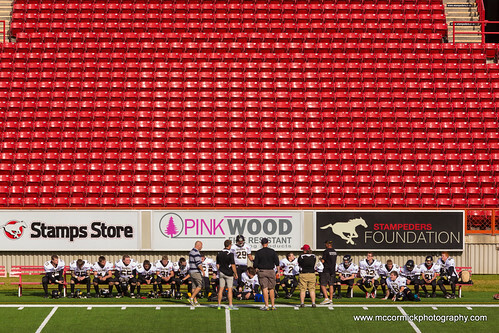 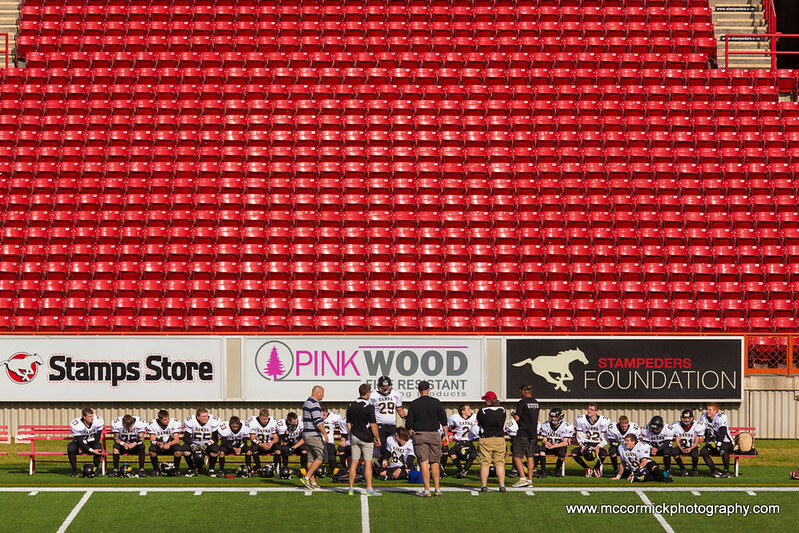 They made a point of being photographed next to Stampeders logos whenever possible! 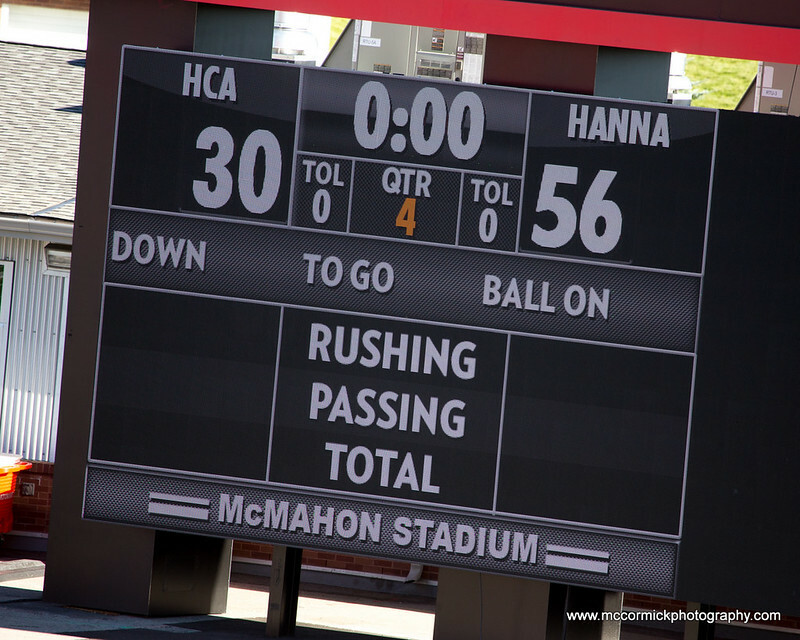 They also won their game, which was the icing on the cake that day.